July 7, 2012. ReBecoming: The Way of Opportunity® was named a Finalist in “Cover Design” and “Metaphysical/Spiritual” Categories in the 2012 Global EBook Awards. May 2012. The 2012 Global EBook Awards has announced that ReBecoming: The Way of Opportunity® has received four nominations. May 11, 2011. The 2011 International Book Awards has announced that ReBecoming: The Way of Opportunity is an Award Winner in the ‘Spirituality: General’ Category, the ‘Fiction: Visionary Fiction’ Category, and the ‘Best Cover Design’ Category. May 4, 2011. ReBecoming: The Way of Opportunity was displayed at the Florida Library Association Convention. January 27, 2011. ReBecoming: The Way of Opportunity® has received two Certificates of Participation in the 18th Annual Writer’s Digest International Self-Published Book Awards in the Inspirational and in the Mainstream/Literary Fiction Categories. Excellent reviews were received in both categories. Please see the ‘Reviews’ section. January 24, 2011. The ReBecoming Foundation (TM) is incorporated in the State of Florida as a non-profit organization. Necessary forms have been submitted to the IRS for national 501c-3 status. December 24, 2010. Dassana Press has released a new ReBecoming-themed video to YourTube.com . October 25, 2010. ReBecoming: The Way of Opportunity® was selected as a Best Book 2010 Awards Winner from USA Book News in the Fiction & Literature: Chick Lit/Women’s Lit Category and Award-Winning Finalist in Fiction & Literature: New Age Fiction Category; Spirituality: Inspirational; and Best Cover Design. October 9, 2010. ReBecoming: The Way of Opportunity® was honored by the Florida Publishers Association with two Silver Medals for 2010 in the categories of Best Cover Design and Best Books set in a Florida locale. October 1, 2010. ReBecoming: The Way of Opportunity® was selected by the 2010 Premier Book Awards as the Second Place Winner in the General Fiction Category. June 28, 2010. J. R. Maxon was a guest on 1490 AM Radio in Sarasota, Florida. June 26, 2010. ReBecoming: The Way of Opportunity® won Second Place in the “Visionary Fiction” Book Category for COVR (Coalition of Visionary Resources) Awards at the INATS WEST Convention in Denver, Colorado. May 26, 2010. ReBecoming: The Way of Opportunity® is honored as a Finalist in the ForeWord Reviews 2010 Book of the Year Award in the “Body, Mind, and Spirit” Category at the 2010 Book Expo America Convention in New York City. May 25, 2010. ReBecoming: The Way of Opportunity® is an award-winning Finalist in the “Inspirational Category” from the Next Generation Indie Book Awards at the 2010 Book Expo America Convention in New York City. May 24, 2010. 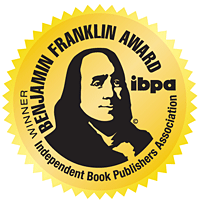 ReBecoming: The Way of Opportunity® wins the prestigious 2010 Benjamin Franklin Award for Publishing Excellence from the Independent Book Publishing Association in the “New Age/Metaphysics/Spirituality” Category at the 2010 Book Expo America Convention in New York City. May 18, 2010. ReBecoming: The Way of Opportunity® is a multiple Award-Winner of the 2010 International Book Awards in the “Fiction: General Fiction” and in the “Fiction: New Age Fiction” Categories; and a multiple Award-Winning Finalist in the “Fiction: Best New Fiction, and Fiction: Chick Lit/Women’s Lit” Categories. May 1, 2010. ReBecoming: The Way of Opportunity is one of three Finalists chosen for the 2010 Glyph Award in “Cover Design-Fiction” from the Arizona Book Publishing Association. October 29, 2009. ReBecoming: The Way of Opportunity® has won the “2009 Inspirational and Wisdom Book of the Year” Award for Literary Excellence from Books and Authors. October 22-25, 2009. Florida Writers Association Annual Convention, Orlando, FL. Workshops, seminars and author events. October 17, 2009. Om Gaia Bookstore, Bradenton, FL. Author Event and Booksigning. October 10, 2009. J.R. Maxon promotes book with the help of local rock band, Hammers and Adams, Bradenton, FL. October 01, 2009. ReBecoming: The Way of Opportunity® takes “First Place in General Fiction” and “Best Fiction Overall” Awards from The Written Art Awards. September 25 and 26, 2009. Florida Publishers Convention, Sarasota, FL. Publishers, book distributors, public relations firms, book manufactures and repesentatives of International Book Publishers Association. May 12, 2009. INEA, Beverly Hills, California. ReBecoming: The Way of Opportunity® was the winner of the 2009 National Indie Excellence Award for the categories of Visionary Fiction and New Age Fiction. February 22, 2009. Body, Mind & Soul Bookstore in Houston, Texas will host a seminar by J. R. Maxon at 1.30 p.m.
February 20, 2009. Body, Mind & Soul Bookstore in Houston, Texas will host a book launch party at 6:30 p.m.
February 5, 2009. ReBecoming: The Way of Opportunity® is available at selected bookstores and distributed by New Leaf Distributing Company, the world’s largest wholesale distributor of books, recorded media and sidelines related to the subject areas of Spirituality and Metaphysics, Natural Alternative Wellness, and Conscious Living. January 24,2009. ReBecoming: The Way of Opportunity® is now available through Amazon.com. November 1, 2008. Dassana Press® announces the release of its new novel, ReBecoming: The Way of Opportunity® by J. R. Maxon, with a publication date of January 24, 2009. It is available for immediate pre-order at Amazon.com.